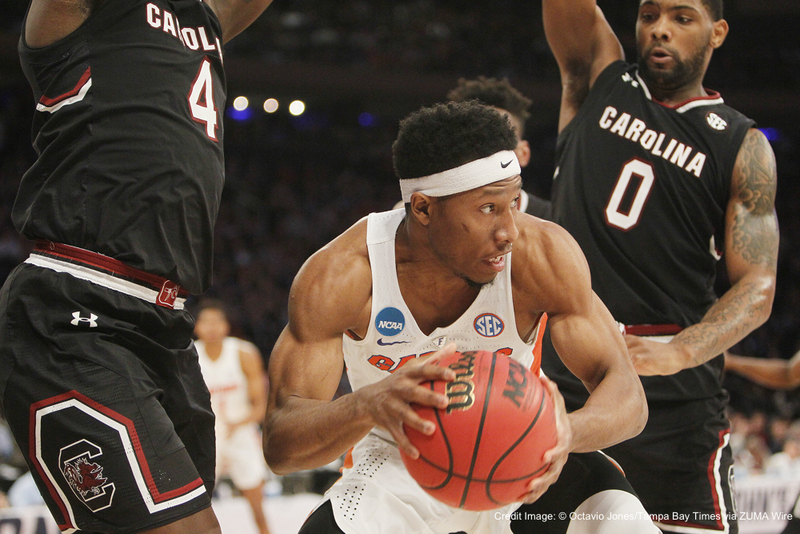 With the help of suffocating Pressure Man Defense, the South Carolina Gamecocks have scratched and clawed their way to the program’s first-ever Final Four. 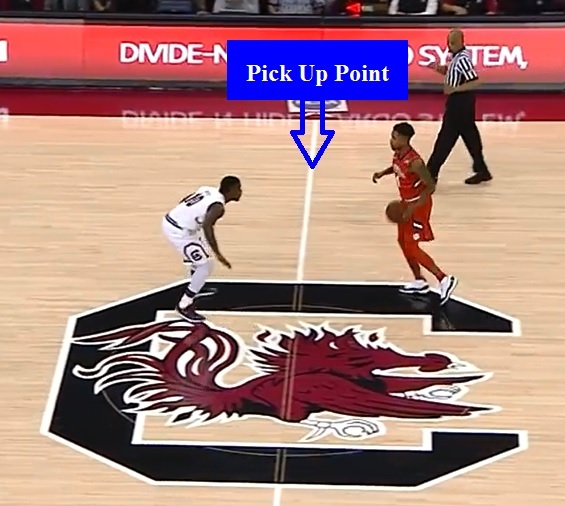 Before delving into the X’s & O’s and the principles behind the South Carolina Gamecocks’ pressure man-to-man defense, let’s take a trip to the zoo. 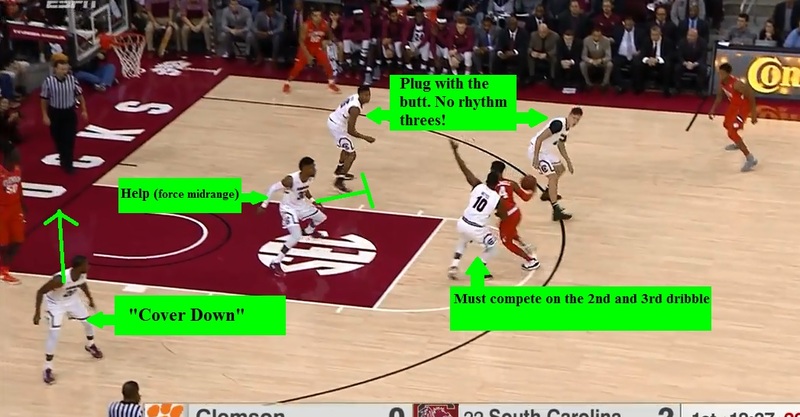 We will get into how Frank Martin has his team in the school’s first ever Final Four and how he has crafted the nation’s second-ranked defense, but first we’re going to take another trip – this time to the jungle. Take a moment to learn a bit about what life is like for a tiger who lives in a zoo and one that lives in the jungle. You see, Martin knows you coach your team like a zoo tiger. You feed them plays and patterns and dictate their every cut, screen and shot. You are convinced that from the sidelines you can control the chaos. You’ve worked hard to harness your player’s natural aggression and caged them up inside the comfortable structure of your offense. You have tamed your players. 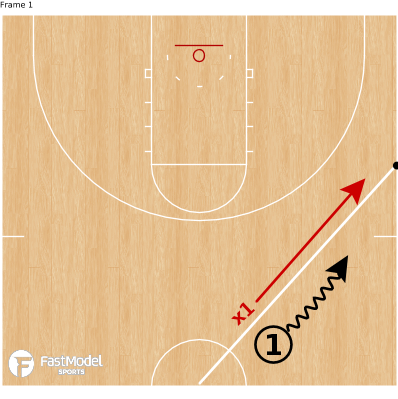 He knows the lovely precision with which your offense can operate due to hours of running through it on air, in tidy breakdown drills and against “dummy” defense. He also knows that because of this, your offense and your players cannot survive for one day in the jungle for they have forgotten how to be or never learned to be a tiger. This is a look at how Martin, his brand of defense, and his team of tigers force opponents to survive a no-holds-barred cat fight. Your eyes have to come down to concentrate on the battle at hand. Sure, your teammates have made their cuts on command. They’ve dutifully popped out to the wing or cut off a screen like they have hundreds of times this season, but today they are not open. Today the ball cannot see them. You’re too worried about the tiger in front of you to even worry about them anyway. You have a tiger in front of you pushing you toward a sideline checkpoint, you try to take it somewhere else (the other tigers always let you) and he corners you forcing you to where HE wants you to go. Quite the cunning hunter. You see, today you’re in the jungle, not the zoo. This is his domain. Panic sets in. Fight or flight? I can persist and dribble the ball 25 times and fight for our offense while someone, anyone (please!) tries to get open. You choose flight. You take off, that always works (hope Coach doesn’t get mad that I’m not running the offense). You’ll just go to the basket without a plan. Someone will always bail you out by helping off ballside and I can pass to their man for a three (after all, coach has shown us that catch and shoot threes yield 1.2 PPP for our best shooters). 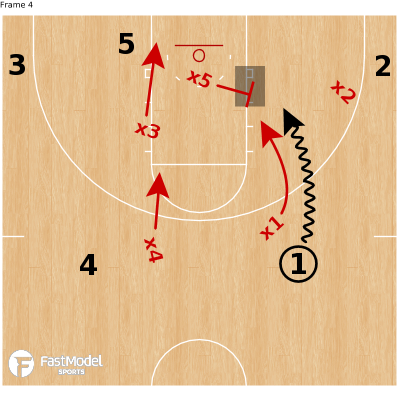 You drive to the basket knowing that someone, probably their entire team, will collapse on the drive and give you an easy pass to multiple available teammates. You take a second and a third dribble and no help has come and this same tiger is still right on your hip. This tiger is made of something different. The jungle tiger across from you wonders why you and your teammates won’t just be a tiger. You look like a tiger to him. Jungle tigers attack straight ahead, jungle tigers fight back. Jungle tigers know how to fight. Gonzaga, North Carolina and Oregon may emerge from the Final Four cat fight victorious. If they do it will be because they remember that in their DNA they are tigers. They will be forced to make plays. Their instincts must take over. They must remember what they are. For on this night, against these Gamecocks behaving like a zoo tiger means you do not survive. They won’t allow it. For help with practice planning and implementation of a pressure man defense, join our community of basketball coaches! 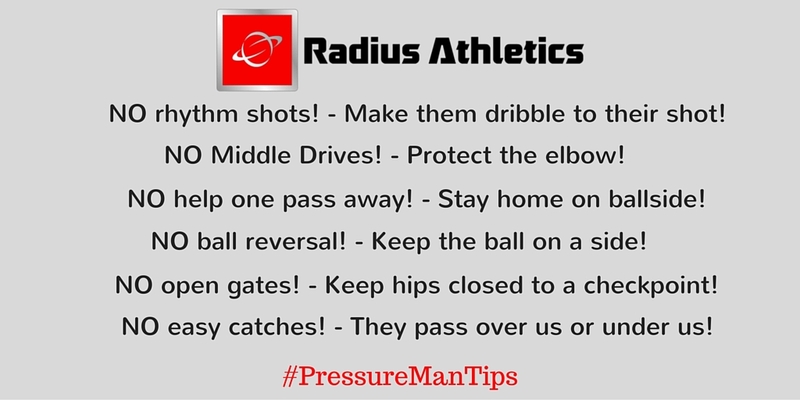 Check out our online course – Pressure Man-To-Man Seminar – as well! Strictly in the metaphorical sense! Could you guide me to anything you published about defending the low-post with the ball on the wing in a pressure man-to-man philosophy. I am always torn wheather to 3/4 high side and bring baseline help from the low-I defender, or to full front , or to play 3/4 low side…I would really appreciate any feedback you could offer. My assumption would be that it is akin to what you’re calling 3/4 deny. 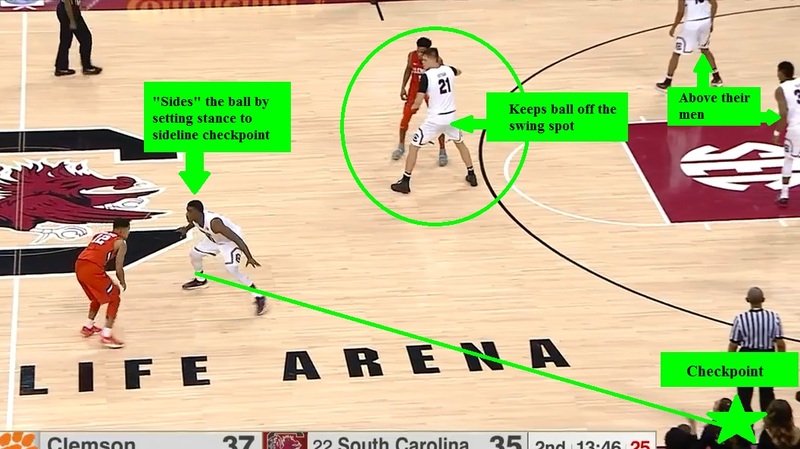 With ball on wing, the post defender is “ear on chest” in a denial position and the low I player is on lob support and help position. I’ll read up ! One more question if you don’t mind … who is the low I defender when the ball is on the wing in a 4 our set and the post is weak side ?